Home Google and Android Verizon Dropping Another Big Screen Bomb Soon! Verizon Dropping Another Big Screen Bomb Soon! 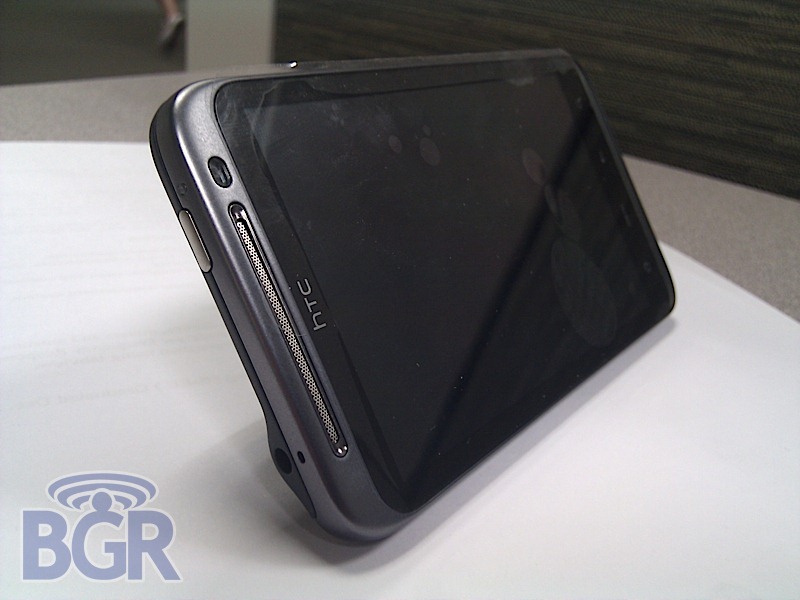 BGR’s ninjas did it again and got some awesome pictures of a yet to be announced and released HTC Android Device that appears to be version of the Sprint EVO. 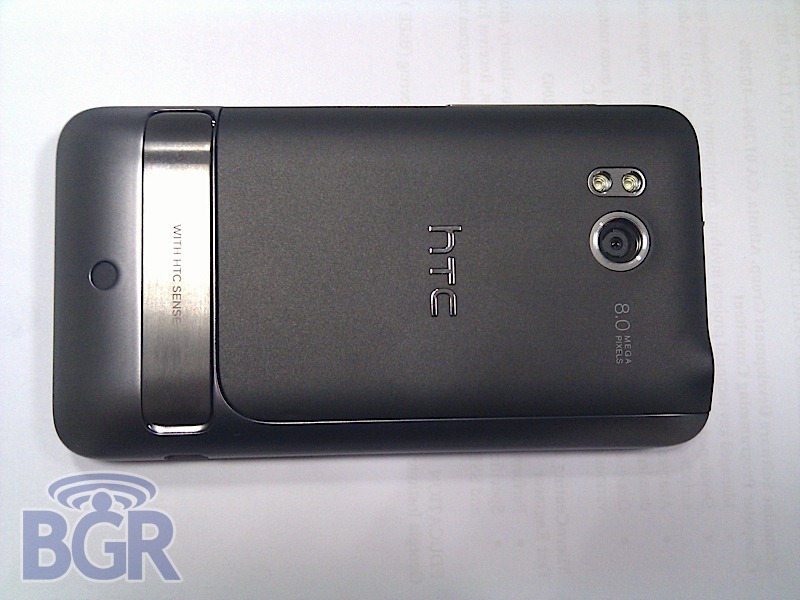 Like Android or not this device is flat out gorgeous! 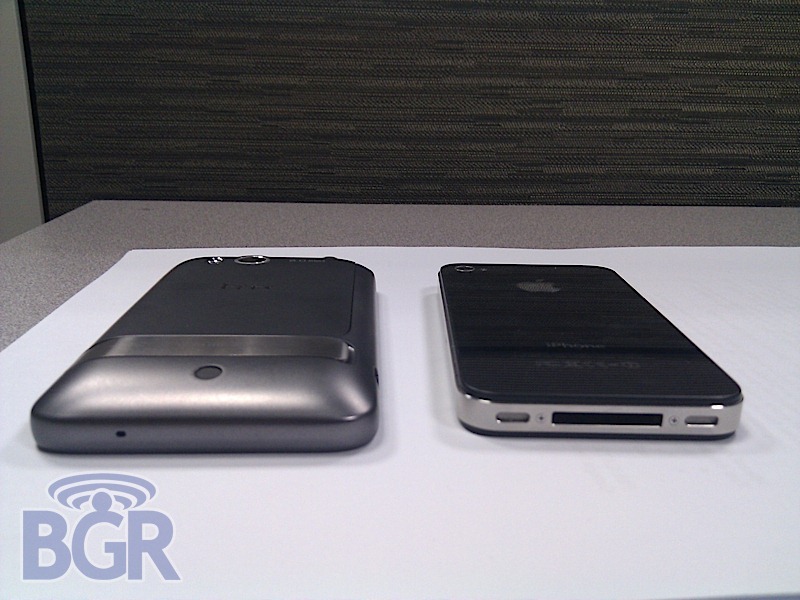 Check out how they crammed the 8 megapixel shooter in the body without the Hunchback added girth like the Motorola Droid X! Dual LED, Kickstand, Front Facing Camera, and a 4.3 inch screen complete your envy lesson for the day. Of course no other information is known but yes sir, I think I like it! What a great way to roll into the weekend! Enjoy! 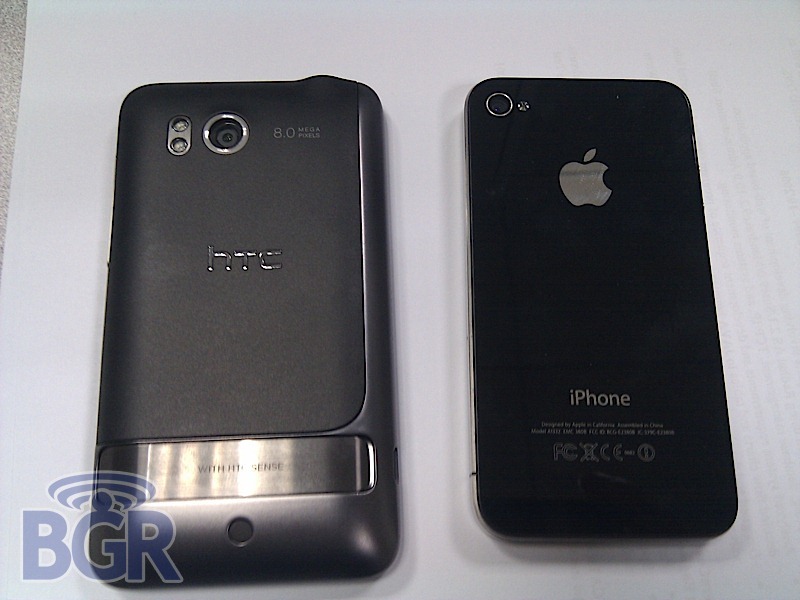 The back is a bit different from other leaked photos, but could it be the USA/Verizon’s version of the Desire HD (Ace)? Froyo Voice Dialing with Bluetooth Problem Solved!